It's not easy to raise a wizard! If you are a parent of a gifted child, you know that giftedness comes hand in hand with unique challenges, including intensity, sensitivity, perfectionism, social isolation, boredom, motivational issues, and more. 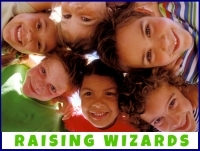 Raising Wizards is a parent coaching company that supports parents of gifted children. 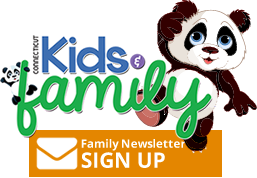 Start at our website (www.RaisingWizards.com) to learn about identifying and challenging gifted children, then join us at our weekly parent discussion groups in West Hartford and Simsbury. Bring your individual issues to certified parent coach, Lisa Natcharian, M.Ed. Personal coaching appointments are available in person, over the phone and through email to discuss how to handle such challenges as finding the appropriate school fit for your gifted child, locating more rigorous programs, dealing with extremely sensitive children (especially boys), supporting the child who has trouble finding peers, helping your gifted teen stay motivated ... whatever you are struggling with, talk it over with Lisa and find new solutions through her education, experience and contacts.